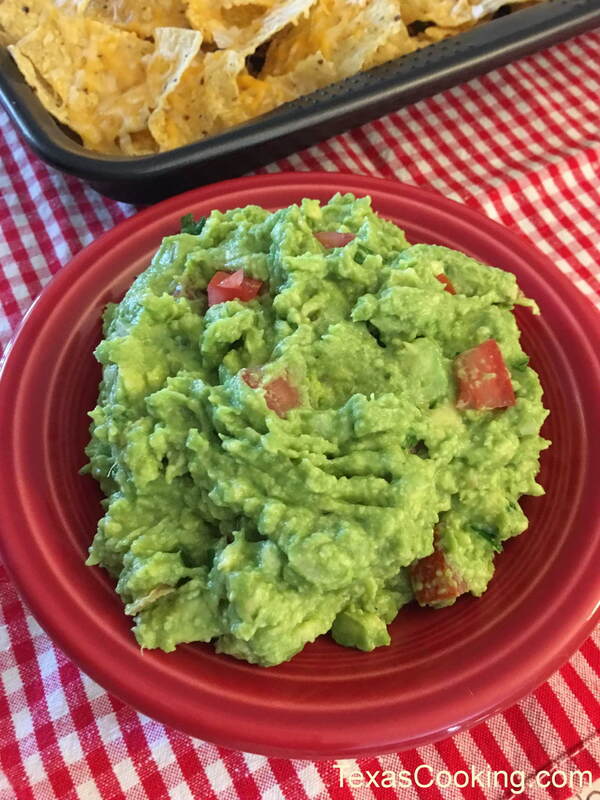 Guacamole is an incredibly versatile mainstay of Tex-Mex cuisine. At its simplest, it's a perfect pairing with fried tortilla chips. Or enhance everything from beans and rice to salads to omelets with a flavorful dollop. And, of course, it's a welcome appetizer at any gathering. This recipe can be varied according to individual tastes. See a list of variations below. Roughly mash the peeled avocadoes in a bowl. Leave lumps. Stir in the lime or lemon juice. Add all remaining ingredients. Adjust seasonings to taste. Serve at once. If you must refrigerate guacamole, cover it with plastic wrap, placing the wrap directly on the surface. Contact with air will darken the guacamole. Use, however, as quickly as possible. Guacamole heat preferences range from none to plenty. Obviously, the heat depends upon the quantity of jalapeños used. Some chiles are hotter than others, so experiment to determine your favorite proportion of ingredients.